Albany, NY – BBS is an award-winning education design firm offering architecture, planning, landscape architecture, engineering, and construction administration, all under one roof. 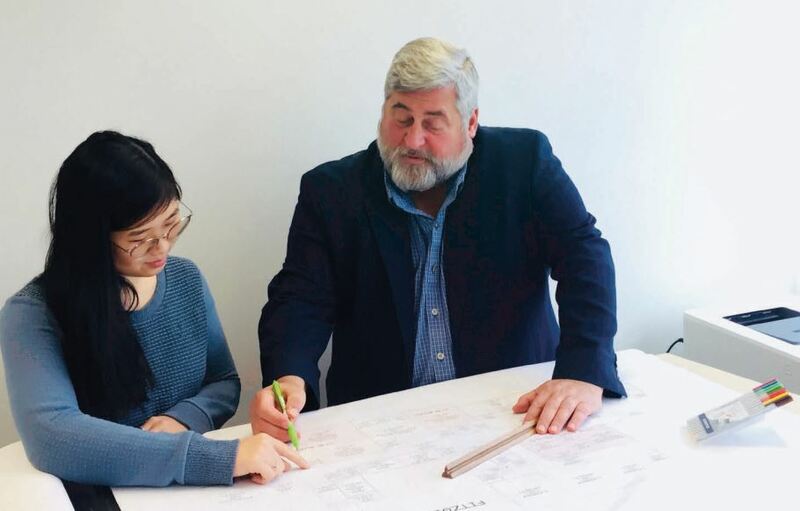 Over the past thirty years, BBS has designed more than $3 billion in public and private school construction in New York, and is today one of the top educational design consultants in the state. Bryan Manning, Managing Director of the Capital Region, has more than 34 years of experience in K-12 architectural design and has personally managed more than $900 million over the span of his career. Q: In what ways has school design changed in the last few years? In this era, we need to prepare students to think locally, nationally, and globally, and in every aspect of life. Reading, writing, and arithmetic are no longer the benchmark of student success. Our students are tasked with thinking critically about the future of our planet, local and global economies, wellness, career readiness, and entrepreneurial mindsets, in both a “hands-on” and digital world. We need to think about this when we design the spaces where students explore and learn. Educators no longer teach in lecture format, with students lined up at desks. Students today need flexibility, physical spaces that can change and grow with them in a setting that is functional, comfortable, and engaging. Q: School safety is on most parents’ minds. How do you design schools to keep children safe? Keeping our schools safe and secure is one of the most important issues we are facing today. It is a delicate balance to incorporate safety measures while still keeping schools inspiring places to learn and socialize. The current statistics on school shootings are gut-wrenching and we are keenly aware of how school design can directly impact student safety. meeting with facility/educational/safety task forces. Designing educational spaces from the outside in allows us to create clear sightlines from inside to outside, with a single point of access. Through site design, we can limit proximity of vehicles or people to the building. We can design and organize school buildings with wide, easily observed corridors. With a number of design choices available (glazing films that harden surfaces, lock-down hardware & classroom door devices, lock-down blinds & shutters, incorporating the latest safety technology, etc. ), we can add layers of safety measures to do everything we can to keep students safe. In the end, the students must feel safe in their learning environment to excel. Left: Cathlene Mitchell, architectural designer. Right: Bryan Manning, Managing Director of the Capital Region division of BBS. Q: In what ways does classroom design impact how students learn? Natural light, air quality, temperature, color schemes, furniture, and classroom shape and size, all have a physical or emotional impact on a buildings’ occupants. Multiple studies have shown that student performance improves when a learning space is designed with these ideals in mind. Flexibility has become a common element in educational design. Flexible classrooms and furniture play a vital role in modern education. These spaces encourage movement, collaboration, and conversation. As 21st century learning styles teach us, project-based, student-centered learning in small communities is where the magic happens. These architectural elements also improve morale. Students learn best when engaged and comfortable. They are more inclined to stretch their imagination and challenge themselves to move out of their intellectual comfort zones when their physical needs are not just met but supported and stimulated by their environment. Q: When designing learning spaces, how do you anticipate future needs of students and teachers? We know that traditional classrooms are now a thing of the past. However, with the evolving nature of modern education, we cannot predict exactly what our educators or students will be focusing on ten years down the road. The key to a successful school is creating a space that can change and grow with the curricula. Predicting what education will look like in the future is really an educated guess. We need to keep our designs flexible enough that each space can be used for different learning purposes. Common areas in schools are not just for cafeterias anymore. Students and teachers in every subject are finding reasons to work collaboratively in shared spaces. that our designs today need to be timeless and fluid to allow creativity in schools to continue flourishing years down the road. Q: How can architectural design contribute to the education of a well-rounded student? Architects that are not just familiar, but wholly committed to designing successful student-centered spaces and schools, are well aware that schools need to be ready to change course as our local and national economies change or grow. More and more, we are incorporating collaborative, project-based maker spaces and STEAM (Science, Technology, Engineering, Art, and Technology) labs into schools. Students should have learning environments that are both safe and inspirational. In that environment, the new student-centered curricula will thrive. The term “well-rounded” makes me think of The Whole Child. It is an educational blog that addresses modern challenges in education. I refer to it often because it does make me think about design differently. Our team here at BBS is constantly challenged to creatively solve problems through architectural design that supports the Whole Child Approach, which is each child, in each school, in each of our communities deserves to be healthy, safe, engaged, supported, and challenged.